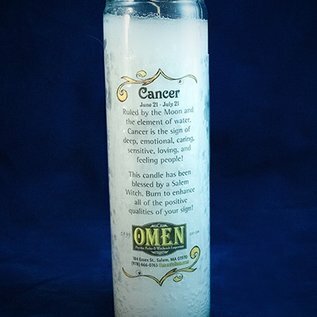 Ruled by the the Moon and the element of water, Cancer is the sign of deep , emotional , caring ,sensitive, loving , and feeling people! This candle has been blessed by a Salem Witch. 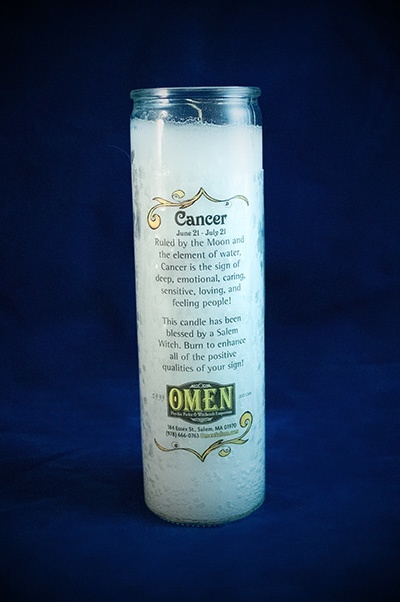 Burn to enhance all of the positive qualities of your sign!